As part of the generation who grew up loving the second wave of Disney animated classics such as “The Little Mermaid,” “Beauty and the Beast,” “Aladdin,” and “The Lion King,” it’s interesting to see a full-length documentary about the creative team that made it all possible. 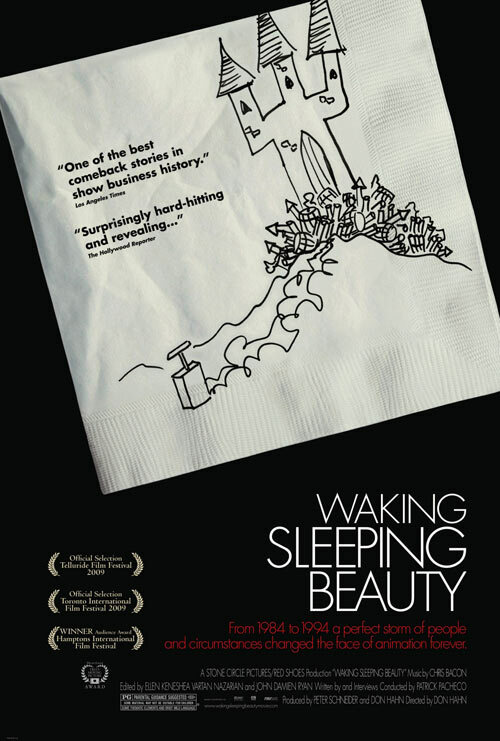 Enter “Waking Sleeping Beauty,” a chronicle of the second Golden Age of Disney animation from 1984 to 1994. It covers all the struggles of ushering in the new era and all the fantastic successes of the finished products they put on screens before a sea of exciting moviegoers – and then all the struggles that success created. It’s a little different than most documentaries in that all interviews are done through audio; we never see any ex post facto commentary from the people who brought us these classics. There’s so much footage of the animators themselves that perhaps Hahn thought viewers would best be served by seeing the process take place (since that is, after all, what most people want when they sit down to watch the movie). But without their faces, it’s hard to establish characters outside the main narrative, which makes it feel more like a narrated sequence of events than a documentary.